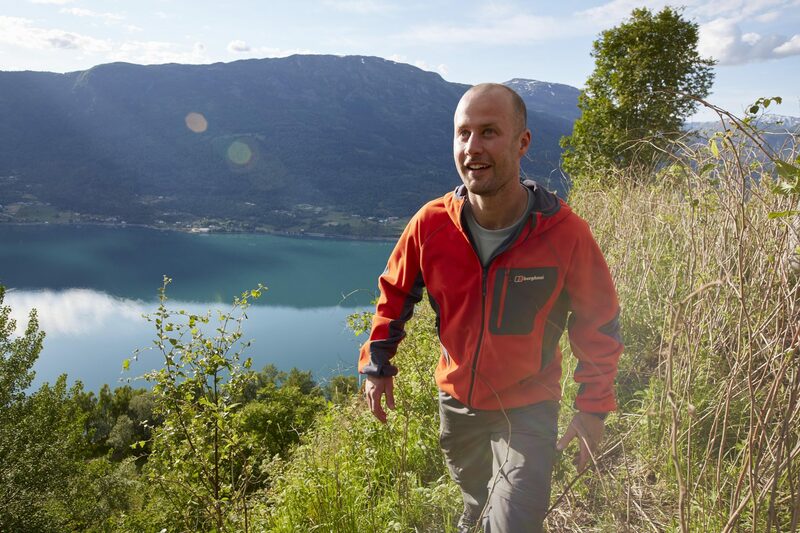 Soft shell garments are a pretty recent addition to the outdoor clothing shelf. They came about as a result of dissatisfaction with the long term “wearability” and comfort of waterproof shell garments and the inability of non-shell clothing to provide any kind of poor weather protection. A light base layer matched with a fleece top will provide warmth, breathability and maximum comfort on a dry day. In the rain the wearer gets wet and the fleece takes time to dry out later. A waterproof rain jacket and pants will provide maximum weather protection and comfort on a rainy day. Someone walking on a day of frequent light showers may choose to wear waterproofs continuously sooner than stop regularly to change in and out of rainwear as the weather dictates. This means however a stiffer, noisier outer garment which is definitely less breathable than if it wear not there at all and a definite reduction in the walker’s level of comfort. The search for garments which could be treated as “full time wearable” and were comfortable on dry days as well as protective during wet and cold weather led manufacturers to explore different fabrics and ways of assembling garments. The result has been a rush of innovation as everyone involved pushed their boundaries and came up with ways of making people more comfortable in a wider range of conditions without having to carry a wardrobe full of clothing options in the rucksack. The definition of what Soft shell is exactly varies from one company to another and many people have their own views on what it is, how it works and when it is best used. What we will do here is divide the category up into two broad areas and look at the features and benefits of both styles. This is constructed very similarly to waterproof rain garments. 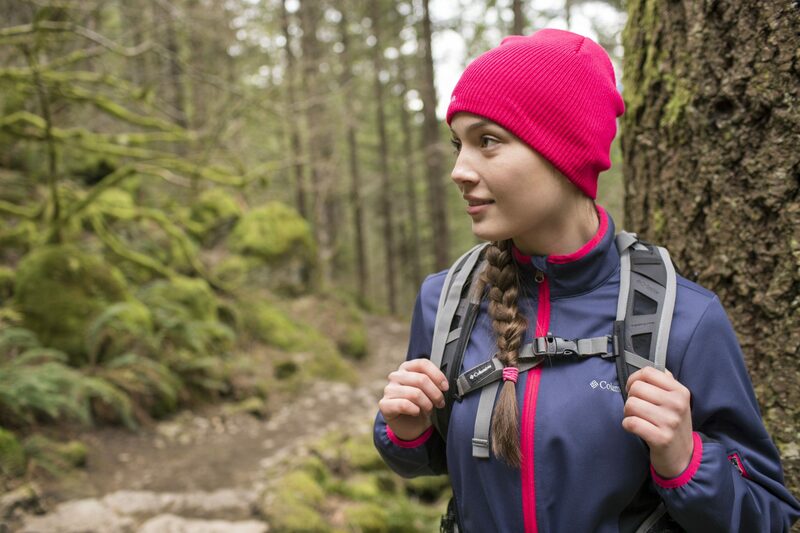 The outer shell is a soft faced, waterproof, breathable fabric. The fabric is constructed with a waterproof, breathable membrane or coating just as in waterproof rainwear. The softer material cuts down the swishing noise and makes the garment feel more comfortable to the touch. The inside is lined with a thin, fleecy fabric to provide again a comfortable “soft touch” feel and also greater warmth. Seams are taped and garments are guaranteed waterproof by the manufacturer. The lining helps wick moisture away from the body and maintain the dry microclimate next to the skin and works as a “reservoir” during periods of high activity when more perspiration is produced than can be moved through the outer fabric. The result is an comfortable, everyday protective garment which is as easily worn in town or country. These are often most popular as cold weather garments for people who want to cut down on bulk by avoiding having too many layers under the jacket. This style of soft shell is very popular for skiing, sailing and shooting as well as mountain activities. and still be as comfortable at the end of the day as at the beginning. You will still need a fully waterproof rain suit for the worst that the elements throw at you but for most people most of the time this is an excellent piece of gear to be packing. Treat waterproof soft shell as per waterproof rainwear. Follow the manufacturers washing and care instructions and re-proof the outer DWR layer as required. For non- waterproof soft shell the care regime is a bit more critical. The DWR layer is the first and only defence against water penetration. therefore it is important to make sure that this is renewed whenever there are signs that rain is not beading off the fabric and that the garment is wetting out. Follow the care instructions and use specific soft shell proofers to maintain performance.